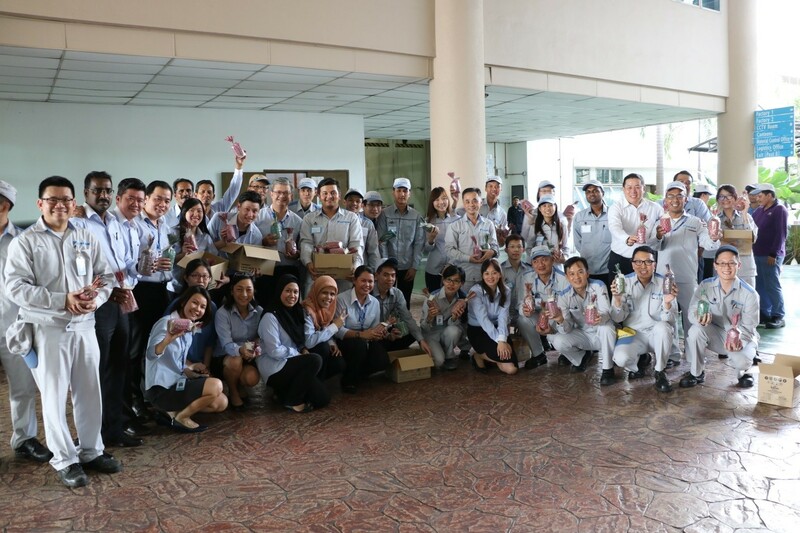 Dodol Distribution | Daikin Malaysia Sdn. Bhd. What is sticky, sweet, sticks to the roof of your mouth when you eat it and symbolic with Hari Raya? Dodol, of course. The employees of DAMA and DRDM were surprised with a weaved pack of Dodol as they were to leave work on 23rd June 2016. Each tampin of Dodol housed a mix of original, pandan and durian flavoured Dodol, all carefully packed into neat little triangles. 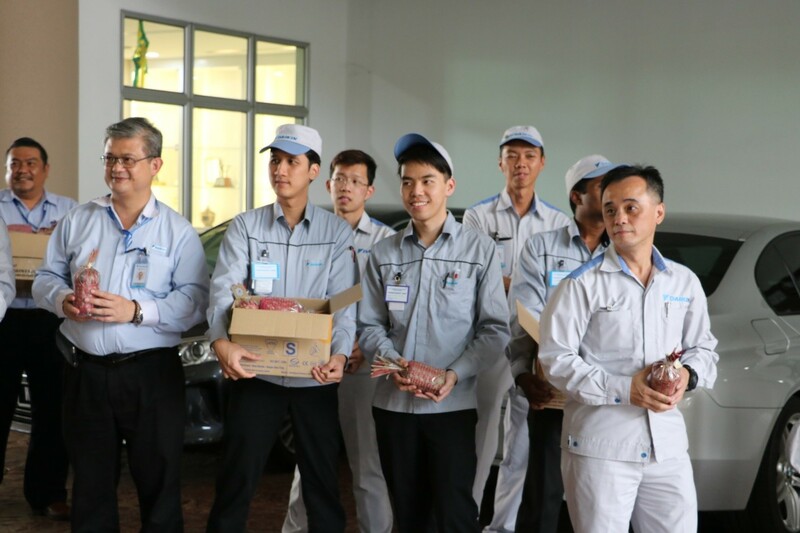 Mr. Fang Yuan, Regional General Manager of Asia Oceania Emerging District, together with Top Management, Union representatives and newly hired employees were there to greet the employees at the DAMA lobby area. It is not quite Hari Raya yet, but the employees could have a nice treat for when they break their fast.